Scientists at The Cancer Genome Atlas (TCGA) Research Network have identified novel genomic and molecular characteristics of cervical cancer that should aid in the subclassification of the disease, and may help target therapies that are most appropriate for each patient. 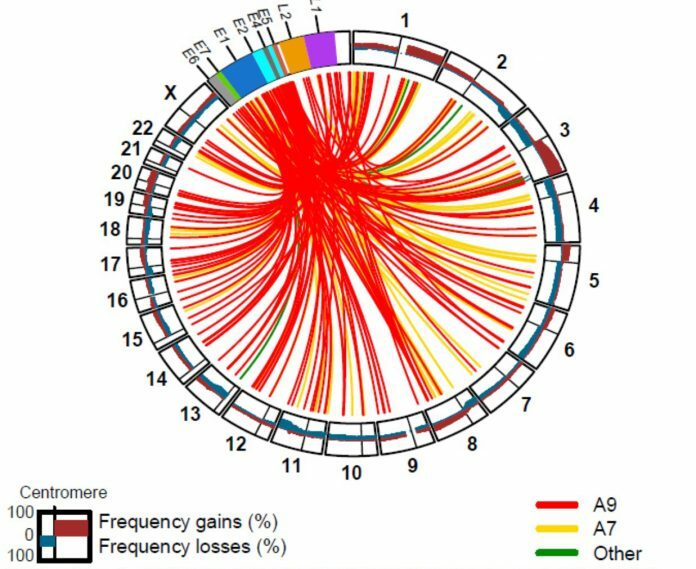 The new study, published recently in Nature through an article entitled “Integrated genomic and molecular characterization of cervical cancer,” is a comprehensive analysis of the genomes from 178 primary cervical cancers—in which investigators found that over 70 percent of the tumors had genomic alterations in either one or both of two important cell signaling pathways. Particularly interesting for the current study was the identification of a unique set of eight cervical cancers that showed molecular similarities to endometrial cancers. These endometrial-like cancers were mainly HPV-negative, and they all had high frequencies of mutations in the KRAS, ARID1A, and PTEN genes. Since immunotherapies have become increasingly important for cancer therapy, the investigators examined genes that code for known immune targets to see if any were amplified—providing a potential predictive responsiveness to immunotherapy. What they found was amplification of several such genes, specifically CD274 (which encodes the PD-L1 immune checkpoint protein) and PDCD1LG2 (which encodes the PD-L2 immune checkpoint protein). Several checkpoint inhibitors have been shown to be effective immunotherapeutic agents. Additionally, the TCGA analysis identified several novel mutated genes in cervical cancer, including MED1, ERBB3, CASP8, HLA-A, and TGFBR2. The researchers also identified several cases with gene fusions involving the gene BCAR4, which produces a long noncoding RNA that has been shown to induce responsiveness to lapatinib, an oral drug that inhibits a key pathway in breast cancer. Therefore, BCAR4 could become a potential therapeutic target for cervical cancers with this alteration.